In the latest news concerning the Galaxy S8, the folks at SamMobile offer more details, this time regarding Samsung’s plan for the device’s display and the home button. While none of this is official from Samsung, SamMobile has had pretty reliable sources in the past, so until we hear otherwise, you can probably feel pretty confident in what you are about to read. According to sources, Samsung will utilize a “2K” Super AMOLED display on the Galaxy S8, with the same QHD resolution as we’re used to, shying away from reports that the company would use a 4K panel for the device. Apparently, the cost of using 4K in smartphones, or the technology itself, isn’t quite ready for the mass consumer market. In related news, we do know that Samsung has a 5.5″ 4K display, but I guess it won’t be seen in the Galaxy S8. It is also reported that thanks to a standard RGB array, the Galaxy S8 will provide a very nice VR (virtual reality) experience for users of the Gear VR, as well as offer improved power consumption over comparable pixel arrangements. Possibly a bit more important newsworthy than what type of display we can expect on the Galaxy S8, SamMobile’s source claims Samsung is ditching the home button for this phone. 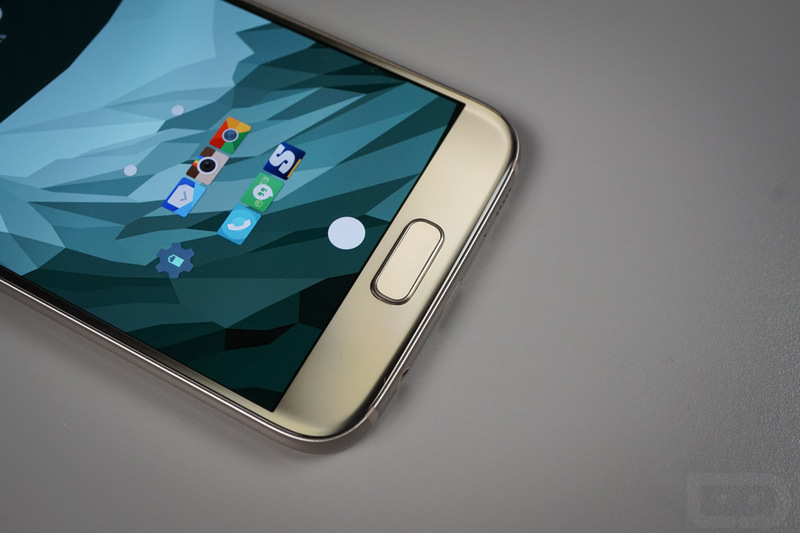 Yes, you heard that right, no home button a Samsung flagship device. Quick, look to see if pigs are flying outside your window. Interestingly, it is said that the fingerprint reader will be embedded directly into the device’s display, a feature that has been rumored from time to time. We will have to wait and see if that operates just as well as the standard readers we are used to using at this time. Anything else on your wishlist for the Galaxy S8? Tuesday Poll: Does Your Smartphone Need a Headphone Jack?